Download our information brochures in PDF format. If you can not view PDF files, you can download and install Adobe Acrobat Reader for free. Sites and activities not to be missed in the region. General practitioners, nurses, pharmacies, dentists, veterinaries, garages. 10 min from Brantôme en Périgord, discover the quern stone quarries path in Saint-Crépin-de-Richemont. Discover the history of Brantôme Abbey. Answers to the little detective’s book: Brantôme and the mysterious caves of the Abbey. Answers to the little detective’s book: In the footsteps of Pierre de Bourdeille. Tourist map of the city of Brantôme en Périgord. 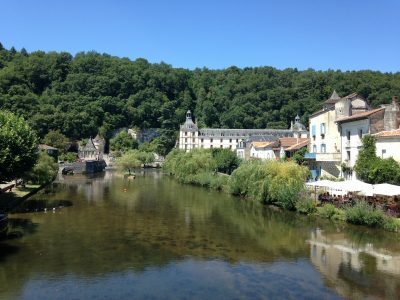 90 km route from Aubeterre-sur-Dronne to Brantôme en Périgord in the footsteps of 19th century writer Harrison Barker. Tourist Offices, “Plus beaux villages de France”, leisure spots. Access, train stations and airports. Selection of offers for families. 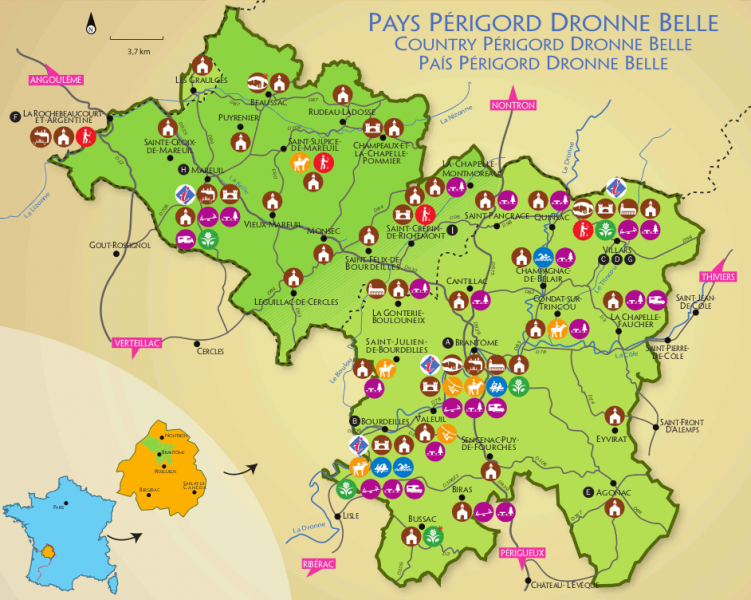 Guide for the creator of tourist accommodation in Dordogne (hotels, campsites, seasonal rentals …). The Tourisme & Handicap (Tourism & Handicap) offer in Dordogne-Périgord: furnished rentals, bed and breakfasts, hotels, campsites, stopover and holiday accommodation, restaurants, sites, monuments and other visits, leisure facilities, Tourist Offices.